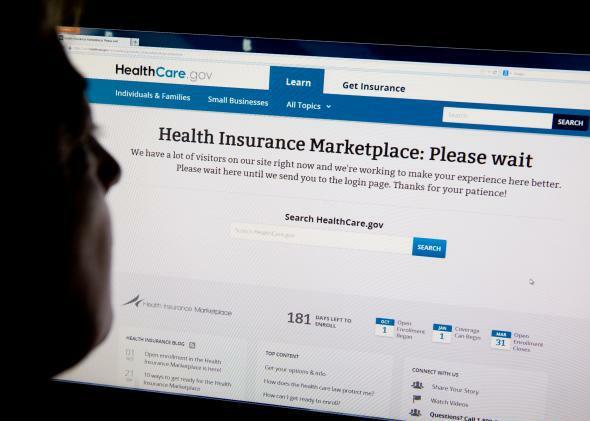 Healthcare.gov problems: Why "5 million lines of code" is the wrong way to fix them. If contractors are really planning to re-write “5 million lines of code” to fix healthcare.gov, they may be doing it wrong. We all know by now that healthcare.gov is an utter mess. The next question: How long will it take to fix? Sure, big projects require more code than small ones. But my programmer friends tell me a number like 500 million suggests the Healthcare.gov contractors may be writing their own code in many places where they’d be better off relying on open-source external libraries. They may also be solving problems via copy-and-paste rather than more elegant programming techniques such as inheritance or polymorphism. In IBM there’s a religion in software that says you have to count K-LOCs, and a K-LOC is a thousand lines of code. How big a project is it? Oh, it’s sort of a 10K-LOC project. This is a 20K-LOCer. And this is 50K-LOCs. And IBM wanted to sort of make it the religion about how we got paid. … And we kept trying to convince them—hey, if we have—a developer’s got a good idea and he can get something done in 4K-LOCs instead of 20K-LOCs, should we make less money? Because he’s made something smaller and faster, less K-LOC. K-LOCs, K-LOCs, that’s the methodology. Ugh! Anyway, that always makes my back just crinkle up at the thought of the whole thing. So if, as the Times piece suggests, the contractors responsible for fixing HealthCare.gov are already thinking about the task in terms of millions of lines of code, the situation may be even worse than we thought. It’s not just that the problem is large in scope—it’s that the people in charge of fixing it are going about it all wrong. - What Really Went Wrong With Healthcare.gov?